RES is a multifaceted event from The National Center for American Indian Enterprise Development (NCAIED). The event will feature tribal leaders, members of Congress, federal agency representatives, state and local officials and top CEO's on a national platform. Attendees will benefit from high caliber networking team opportunities, business development sessions, American Indian Artisan Market, and much more. It's just one more example of how the NCAIED is building bridges of opportunity for today's American Indian Enterprises. Choose between Paiute Tribes Economic Development Tour and Casino Conservation Code Green Tour - Caesar's Hotel and Casino. 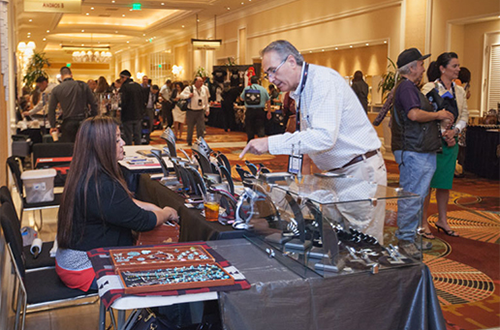 RES 2019 provides a unique opportunity for Native American artists to showcase and sell their products at the largest economic summit in Indian Country. There is a limited number of Artisan Market booths available on a first come, first served basis. Reserve your booth early to ensure your place at RES 2019! The Procurement Expo provides qualified American Indian owned businesses the opportunity to meet one-on-one with federal, state and local government purchasing officials as well as prime contracts and private sector corporations. Register today to be part of this exciting and innovative annual Expo! 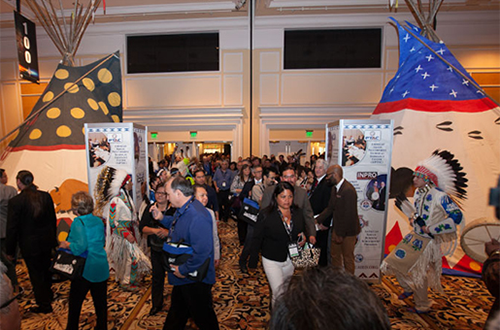 RES is the largest and longest running national American Indian business event in the nation. Visit our Media Center to view RES videos and photos.